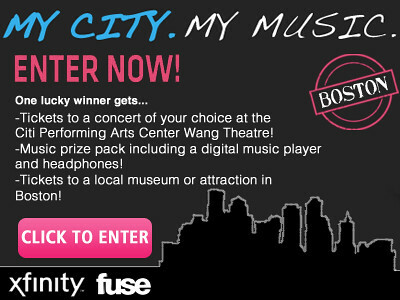 Cheap Thrills - Boston: Thru THUR 10/13: Can You Enter this Contest? Thru THUR 10/13: Can You Enter this Contest? I personally tried the link to enter the Citi/Wang Concert Sweepstakes on a couple browsers with no luck, but the contest people said it's working. There is supposed to be a quick registration form to fill out, and the deadline is tomorrow 10/13. You can enter every 24 hours (PDF rules), so that's 2 chances to win. You must also be a MA resident. Update: Okay, it worked for me. I can now see they're gathering info to probably make sales calls for cable TV. PS: There's quite a bit of cheapness through Saturday on the calendar. Halloween Rock - The Hush Now, et al.